Only a few days ago, the internet received its first image of the Jumanji film coming out in 2017, and just a few minutes ago Dwayne ‘The Rock’ Johnson just shared a quick behind the scenes look at the set. 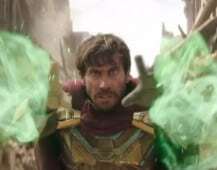 Johnson is dressed as his character, Dr. Smolder Bravestone, as the brief video takes place in the jungle. At first, Johnson claims to be alone and living off the land – even going as far as to mention a “three headed fish” – but then the camera pans to the right revealing the rest of the crew in the background. Johnson follows it up with a humorous, “you ruined the shot, you son of a b***, you ruined the shot”, as he walks out of view. Jumanji is set to be released in 2017, and stars Dawyne Johnson as Dr. Smolder Bravestone, Karen Jillian as Ruby Roundhouse, Kevin Hart as Moose Finbar, Nick Jonas, and Jack Black. The film will also serve as a tribute to the late Robin Williams, who was responsible for making the first one such a big hit. 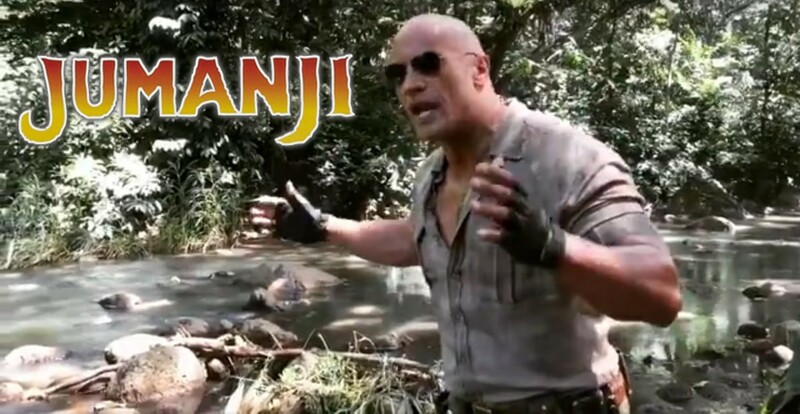 Are you excited to see The Rock star in the new Jumanji film in 2017? Make sure to let us know in the comments.